Every hobby has its stereotypes and bird watching is no exception. Asked to conjure up an image of your typical birder for instance and I'm sure a lot of us would include someone dressed head to toe in camo gear. In fact I can go one better and confirm numerous such sightings out in the wild and, whilst I would be the last person to criticise another's choices, it's not really the look for me. 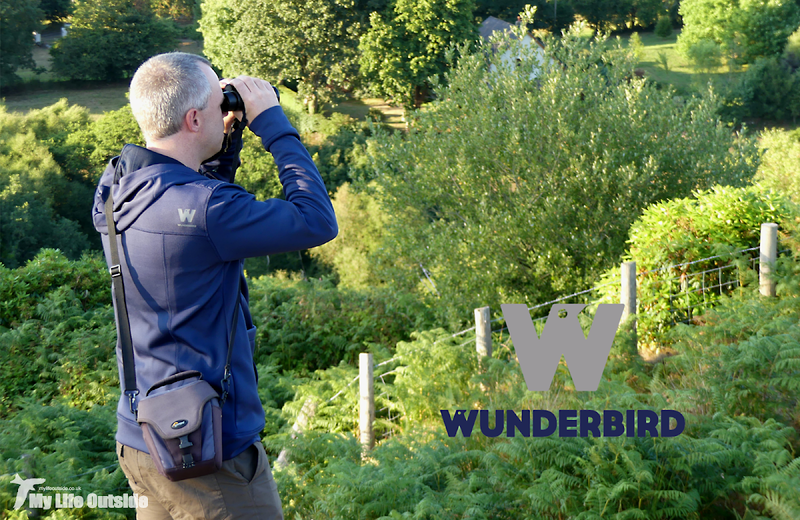 Like most I've been making do with generic outdoor gear for years so when Wunderbird got in touch asking if I'd like to try out their new range of clothing designed specifically for birders, I had to say yes. 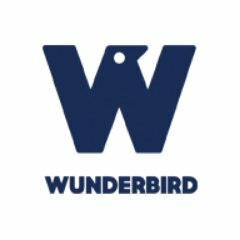 The Wunderbird collection includes ranges tailored for both men and women and being the former I've been putting one of their short sleeved Kestrel t-shirts as well as a Gyrfalcon hoody, despite the current heatwave, through their paces. Thanks to the excellent sizing guide on the Wunderbird website both fit perfectly which makes me wonder, why don't all clothing companies do the same? To begin with let's look at the Kestrel t-shirt which straight out of the bag looks and feels high quality. Made from lightweight, quick drying and breathable fabric I could barely tell that I was wearing it and given our inclement weather can confirm that I remained comfortable throughout. Stitching is neat and strong and it's clear that a lot of care and attention has gone into the design. Speaking of design you may be wondering what makes an item of clothing birder specific and this is where Wunderbird have really excelled. For starters each shoulder is padded making it a whole lot more comfy to sling a telescope over or carry a backpack. Moreover the padding is just the right thickness so there'll be no eighties throwback references heading your way. Even when not birding I can see myself wearing this especially when out on the mountains. Across the front two well concealed zips open up to reveal quick draw binocular supports. Whether you like to hang high or low, popping your binoculars inside is a sinch and makes such a difference to comfort when walking. No more bashing items as you bend over and in my experience a significant reduction in neck strain. I've been choosing to use the top pocket most leaving the lower one free for storing notebook, pen and phone which still manages to retain a close fitting look. Added bonus points too for perfect positioning so as not to be blocked by my backpack chest strap. If I had to have one super minor criticism it would be that the neck, on me at least, is just that little bit baggy. However I think that's more down to my slender figure and preference for v-neck polo shirts than any fault with the item itself. Next up we have the Gyrfalcon hoody and I must admit, I absolutely love it. As before we find padded shoulders and a similar quick drying fabric which is going to prove invaluable over the wetter months. Another quick draw binocular support is accessed through a zip on the front and I found this perfectly sized for my Opticron 8x42's. Below the second pocket has evolved thanks to the weightier fabric to include not only binocular support or extra storage but also a double layered hand warmer. I have a feeling I'm going to find that immensely pleasurable next time I'm spending a winter's day at Titchwell. Up top the hood itself is big enough that you don't feel trapped but close fitting such that it's not going to be constantly flying off at the first breath of wind. Furthermore dual toggles, one each side, allow you to adjust for your own preference in conjunction with a rear toggle to set the peak angle. No more issues with obscured vision where the Gyrfalcon is concerned. The only feature I haven't been able to test is the claimed mosquito repellence but next time we're in Scotland I'll be sure to put that one through its paces and report back. It's safe to say that Wunderbird have me completely sold. A unique concept executed to a very high standard and one which I'll be using in the field hopefully for years to come. Compared to other specialised clothing prices are also incredibly reasonable and I'm confident that there's much for the birding community to like. The Wunderbird website is linked below so please head on over for a look. As for me I'm off out to explore my local patch, binoculars secured and in more comfort than I've been all summer.